But what other treats did the prestigious gathering yield? 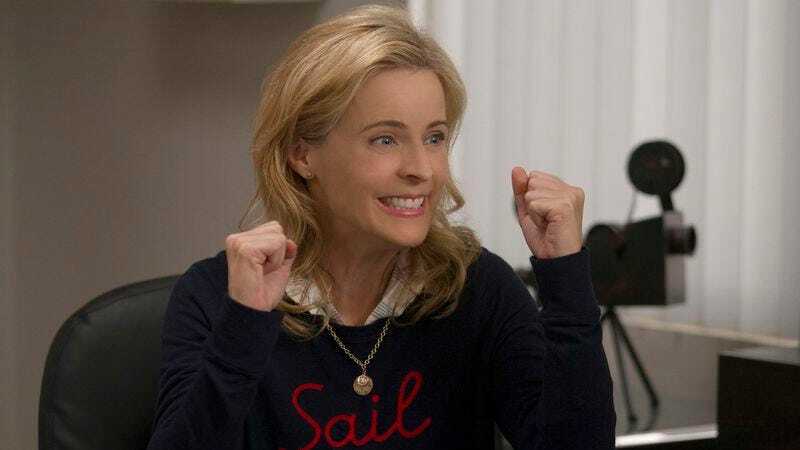 Well, Netflix has wisely renewed Lady Dynamite for a second season, while squandering yet another season on Real Rob (maybe Rob Schneider’s meta-comedy is part of Adam Sandler’s overall deal?). Chelsea Handler will continue to occupy her virtual corner of late-night (sort of) TV, as Netflix has renewed Chelsea for another season as well. All three series’ second seasons will premiere in 2017. The Ranch will giddy up once more on October 7, which is when the second half of its season kicks off. The new season of Black Mirror will debut on October 21, and already sounds reliably unnerving. Then Lovesick, formerly known as Scrotal Recall, will premiere its second season on November 10. Beat Bugs is also in its second season, and will wing its way to your laptop screens on November 18. And closing out the month’s premieres is Gilmore Girls: A Year In The Life, which bows November 25. December 9 will see the arrival of Captive, a docuseries from Doug Liman and Simon and Jonathan Chin that examines the booming business of hostage-taking (no, seriously). Then the Latino-led remake of Norman Lear’s One Day At A Time is scheduled to premiere on January 6. The series stars Six Feet Under’s Justina Machado as the single mom just trying to raise her kids in this godforsaken world, with some help from Rita Moreno in the 13-episode first season. And finally, Netflix picked up an untitled Motown project from Beat Bugs writer-producer Josh Wakely. It follows “a lovable, funny and slightly shy eight year old boy named Ben, who discovers he has the extraordinary ability to bring street-art to life.” The series will feature 52 Motown hits, with Smokey Robinson serving as executive music producer.